I have had the fortune of training with Hatsumi Sensei outdoors on a number of occasions. Each time it was unique, but on this day Soke waved his hand toward the students and told us today would be a test for the Jugodans. It was a cool morning under the Japanese maples, so Hatsumi Sensei wore a quilted 羽織 haori which was the color of pearl. I don’t know if anyone else heard him, but he muttered the phrase “open sesame!” Because we were about to open a gate to hidden treasures. One of those treasures arrived when Soke broke the attack of his opponent, causing his spine to arch back. Sensei hooked into his eyes with one finger. Then he dropped away to release the tension. At this moment, he caught the fall of his uke with the position of his body. This had the effect of completely twisting the limbs and spine. And crushing like a trash compactor. I had never heard of tengan, but lucky for me, Soke explained by gesturing with his finger. Tengan is like when you use an eyedropper. It's like dropping a spot in the middle of an eye. But tengan is a play on words. Change the kanji to 天眼, and it means the eyes of heaven, or divine eye. This is a Buddhist concept that suggests you can see in the darkness, or are clairvoyant. Harness perception that is almost supernatural. The eye of heaven can see everything. The future, the past. It can see into your enemy’s mind. Now it is easy to predict his strategy or find his weakness. Since that day, I have been working to study kyūsho maru. It is an idea that ripples across all of my training like a drop in a pond. Here are a few of the ripples to consider. The kanji for 急所丸 kyūsho maru can start us off. Kyūsho means a vital point, or an essential point. Maru means round, but like a true circle, it implies perfection. The kanji itself is 9 (九) plus one stroke. As Hatsumi Sensei is fond of saying, this equals 10 which is perfect in Japanese numerology. So kyūsho maru is the “perfect kyūsho” for the moment. This kyūsho might be on the opponent’s body. But it can be anywhere in the kukan. When you consider that possibility, the implications for your training grow from that point. At a basic level, I find the weak point in the kukan and attack it. But as I wrote in Kukan no Kyūshō 空間の九勝: Twisting Around a Moment in Space, you might use that kyūsho to pivot. You move around it in a state of flux. There is no fixed coordinate, no set technique. These kyūsho are in the space itself, the kukan. They are in the emptiness. When you can attack those points, the results will be bigger than your own ability or your own strength. Some Jugodans will understand this, and some will not. I wrote before that kihon is the heart of an infinite circle. Kihon is a point in the middle of a circle, or in the middle of infinity. What was the test for us Jugodans? There is no easy answer to that. I am still testing. Hatsumi Sensei had us all face the sun and bow to wrap up the day of training. I felt the warmth on my face. But the sun is just a bright point in infinity, hanging in emptiness. 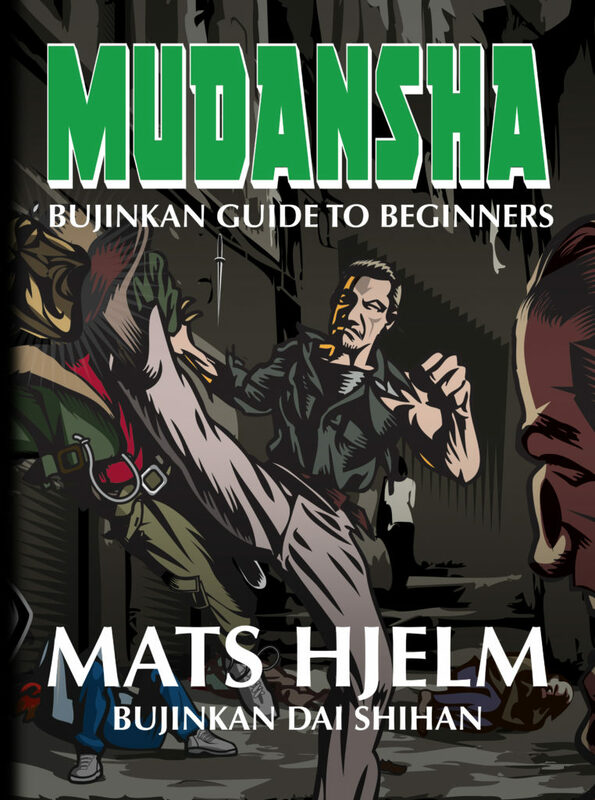 Advanced Bujinkan training is a mysterious path. It’s not often that Hatsumi Sensei reveals what he himself is studying, or even that he tells us directly what to study. So when he does, we should listen. In a recent Friday night class at the Bujinkan Honbu Dojo, Soke told us we were continuing to study 真剣白刃捕 shinken shiraha dori. This is catching a live blade. He demonstrated this against various swords, knives, and even the rokushakubo. But what happened next was a surprise to all of us. Nagase-san stabbed at Hatsumi Sensei with a knife. 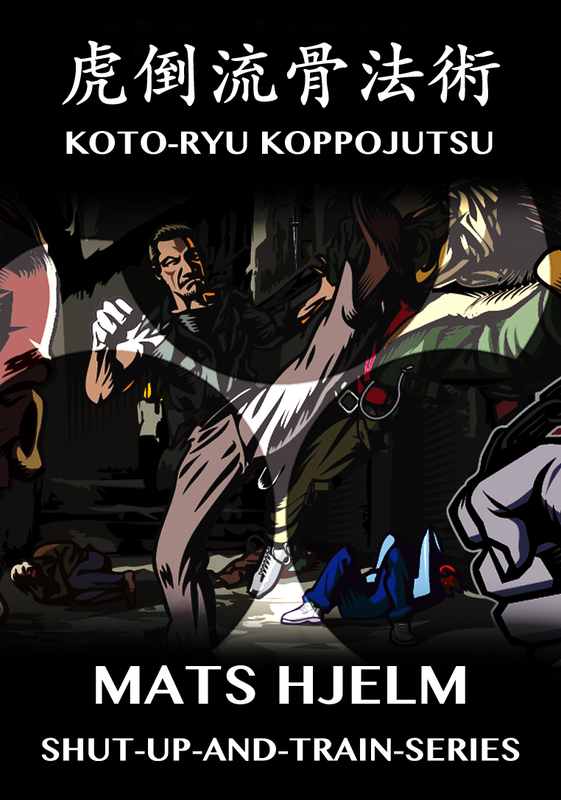 Without touching him, Soke waved his hand through the air and the knife fell to the floor. Nagase next lost his balance, stumbled, and dropped one hand to the mat to catch himself. Soke told us, “全体くる意気 zentai kuru iki,” or, that we should take his whole spirit like this. Easy for him to say! But how do we begin to understand this type of training? From the outside it appears fake. I completely understand someone who watches this thinking that it would never happen to them if they stabbed. But from my own experience, when you attack Soke, he takes away your will along with your weapon. “This moment is important. Because in just one moment you die. It’s kukan. It’s 自然力 shizenryoku." Shizenryoku is the power of nature itself. What force of nature can we use? What can we draw on inside the dojo or out? After I watched Nagase-san get disarmed without being touched, I assumed this was a one time thing. I felt lucky to witness it. But Hatsumi Sensei did it again in the Sunday class! I think that should give me a lot of homework when I get home to my own dojo. I expect to surprise my students with this. And my own surprise will be in the discovery. I will do my best to follow Hatsumi Sensei’s example. This is some advice for Jūgodans. I say that because Hatsumi Sensei said it. But also because people with less than 20 years of training are not ready for this. We all must learn that, 秘伝 hiden, or the secret teachings of budo are hidden in your blind spot. Takamatsu Sensei told us one reason that this blind spot exists is because teachers tend to make 得意 tokui - their own strong points, into 極意 gokui - the main points, of their art or teaching. You’ve probably met a teacher that only teaches their strengths. And you’ve also been that teacher without realizing it. During one Friday night class at the old Bujinkan Honbu Dojo, Hatsumi Sensei was teaching some 秘剣 hiken, or secret sword methods from 八相 hassō. This particular secret is not written down anywhere. It is a way of powering the sword cut and steering it that I have never seen in any other sword school. Among the thirty or so students who were there that night, maybe a few understood what he taught. But there was a bigger secret he demonstrated on the spot. Maybe no one noticed. Hatsumi Sensei demonstrated how to overcome our 盲点 mōten, or blind spot. He did this with henka forged in discovery. But these henka were not of his own creation. They arise from 自然 shizen. Many secrets are hidden there. He told us that we cannot learn these 秘伝 hiden until we let go of the past and what we already know. When you forget the techniques you’ve worked to master, nature will allow you to grow. 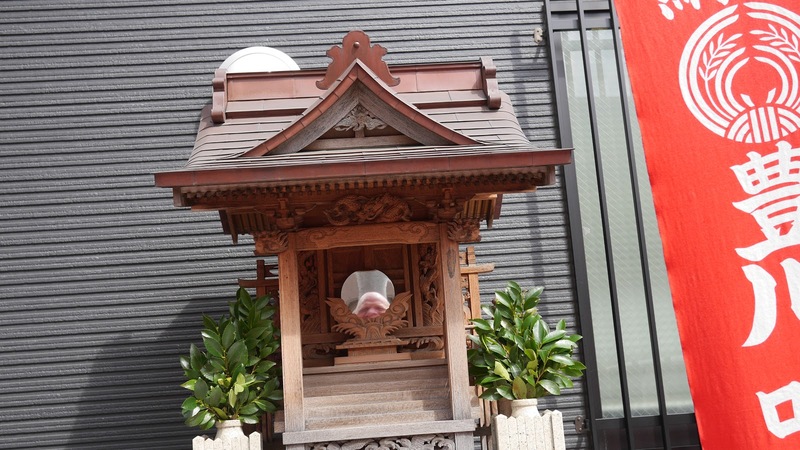 Soke said 自然的に許可者 shizen-teki ni kyoka-sha. When you understand it’s not about form, your henka will get better and better. But these henka are not created by you! A year before Takamatsu Sensei passed away, he told Hatsumi Sensei that he’d taught him everything. But Soke didn’t think that was correct. So he told us that, “From when I started training, until now, I keep learning and showing new things.” How can this be? Hatsumi Sensei continued, “It’s important to keep training even though the art keeps changing. If you don’t keep walking with it, then you’ll get left behind. This is 武風一貫 bufū ikkan.” The warrior winds of bufū will carry you when you persevere this way. No matter how good you are right now, if you follow the warrior winds you can become a master. It will not happen overnight. It happens with a natural timing just like growing up. Soke told us that being a Jūgodan is about 成人しん seijin shin, becoming adults. During one class in Japan I was shivering. It was so cold my teeth were chattering. We were indoors, training on a chilled hardwood floor, so my indoor tabi were little comfort to my feet. Maybe that is why when Hatsumi Sensei smashed his opponent’s head to the floor, my frozen mind didn’t understand the very important lesson he shared with us. After my brain thawed out, I could grasp the message. He was teaching us about 指先 yubisaki, the fingertips. At that moment, my own fingertips were encased in gloves. And probably tucked under my armpits for the body heat. I watched Hatsumi Sensei’s uke twist on the floor in pain, exhaling vapor in the cold after each gasp. Soke did henka from the kata 天地 tenchi. Heaven and Earth. But which comes first? You strike low to 鈴 suzu, and this lifts your opponent to heaven! Then strike high with 手五指 te goshi to 顔面 ganmen. But with this strike, you slam him back down to Earth. 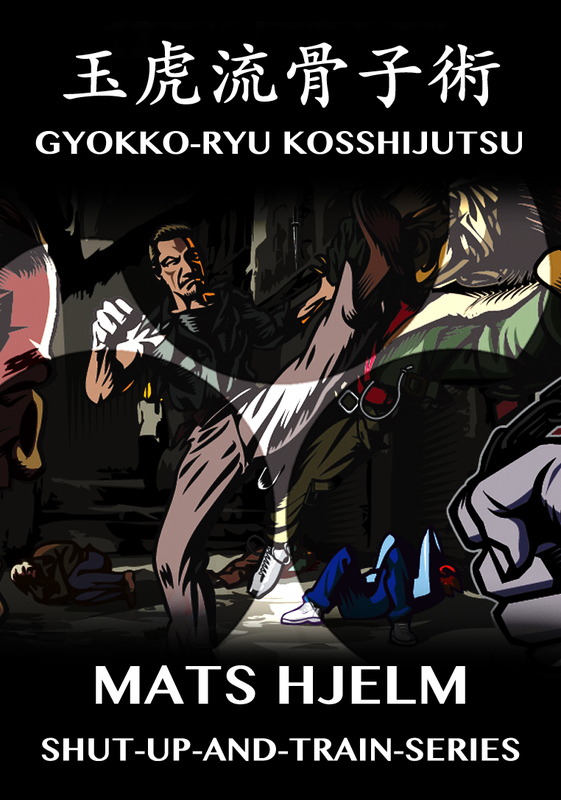 In my own experience, the kick delivers the opponent’s face to your fingertips. Then most people deliver this next strike like a 蝦蛄拳 shako ken. That does work, but Hatsumi Sensei shared a different strategy with us. Soke constantly tells us to use the fingers to control (yubi osae). But this seems impossible when you have a strong opponent. Can one finger, or even all five, do very much? If you have ever been Hatsumi Sensei’s uke, you know he doesn’t do too much. It is a very subtle thing. Hatsumi Sensei said 指取りをこみ仮り yubi-tori o komi kari, which is like placing a temporary hold with the fingers as an incentive. He applies a light touch or pressure that he interrupts with percussive strikes. Soke also used the words 操り ayatsuri and あや取り ayatori. This suggests that he manipulates you like a puppet to line up each strike in quick succession. When Hatsumi Sensei does this to me, I never see the strikes coming, so my body is unprepared to receive them or defend in any way. Each strike becomes more powerful. They arrive in an uninterrupted flow that you cannot escape. This is because Hatsumi Sensei steers you with his fingers! But this use of the fingertips doesn’t end with striking. While grappling, Soke used the word 量るhakaru. This is when you size up your opponent. You estimate his strength and ability, as well as his balance or weakness. Soke does this with subtle shifts in his hands or elbows while grappling. The fingertips control but also act like antennae. These light touches may or may not get the opponent’s attention. 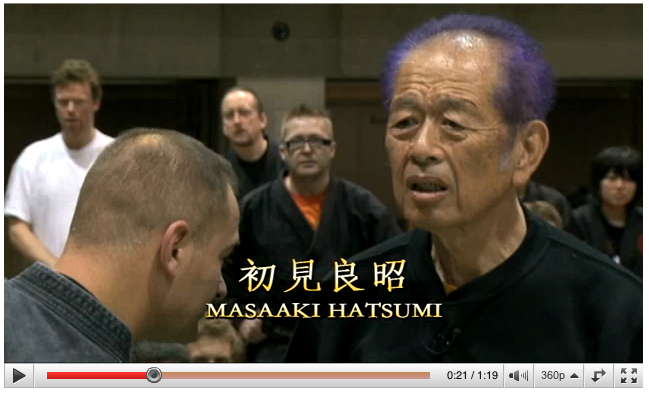 Hatsumi Sensei chooses when he wants you to notice what he is doing. This is another form of control. He directs your attention even with his fingertips. Soke does this often against a sword or knife. It looks crazy watching him manipulate the blade with his fingers. I think this is more 量るhakaru. Once you find the measure of your enemy, his weakness will reveal itself. The feeling I get from Hatsumi Sensei when I cut at him with a knife is that he allows you to fall victim to your own weakness. He doesn’t need to do very much. During one Friday night class at the Bujinkan Honbu Dojo, Hatsumi Sensei asked a senior student to demonstrate a technique. The student avoided a punch and redirected the energy of it to knock his opponent down. This was a normal start for Soke's class, but what happened next surprised me. Soke called me out and punched at me! Now I was supposed to do the technique that had been demonstrated. But how was I supposed to knock Hatsumi Sensei down? Of course, that wasn’t going to happen. But, I gave it my best shot. Hatsumi Sensei punched at me and I foolishly attempted to capture his punch. As soon as I did this, it was like the kukan shifted. This left me hanging or floating in space. I still don’t remember how he threw me, but I ended up in a pile on the mat. Hatsumi Sensei then told us we must exist within 虚実皮膜 kyojitsu himaku. I had never heard that term, nor had the translator. But lucky for me, Hatsumi Sensei had left clues for us by referencing art. Coincidentally, I had gone to Ginza earlier that morning to see an art exhibition at the Shiseido Gallery. 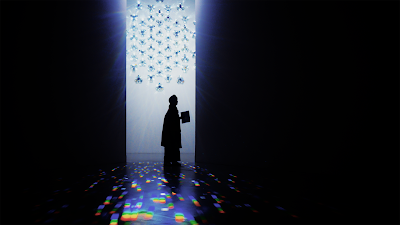 The art installation was called “Spectrum” by the designer Tokujin Yoshioka. The gallery was filled with light and fog. Beams of light radiated off of prisms to brush the walls, floor, and the viewers with a spectrum of color. Like any great installation art, you become a part of the art as you experience it. "Art is something that lies between the skin and the flesh, the make-believe and the real. ... Art is something which lies in the slender margin between the real and the unreal. [….] It is unreal, and yet it is not unreal; it is real, and yet it is not real. Entertainment lies between the two." 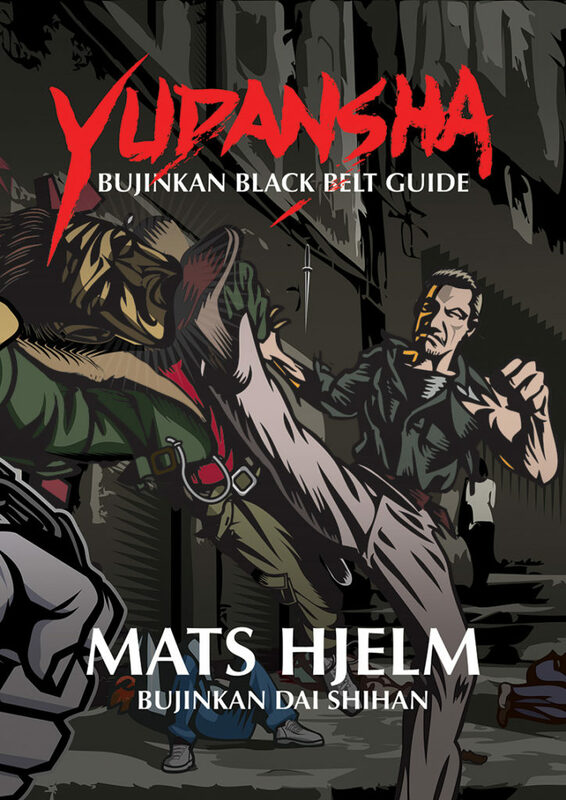 For us in the Bujinkan, we are familiar with the term kyojitsu. But himaku is a thin membrane or “skin” between truth and falsehood. In fact, it is so thin it is permeable and inseparable from one or the other. Chikamatsu (who was the son of a Ronin) even pronounced it as hiniku, which is the skin over the flesh. This philosophy is a kind of solipsism. It rests on the idea that we process the entire world through our senses. This means reality is filtered by this processing in our minds. Kyojitsu himaku takes advantage of this by existing in between the mind and reality. In art, this means the art is created in such a way that the end result only comes to life in the mind of the viewer. If you’ve ever “looked behind the curtain” at a piece of art, maybe looked too closely… you will know that this examination breaks the illusion. In fighting, we also create these illusions in the mind of our opponent. But we should not care if he “looks behind the curtain” or is able to pierce through our kyojitsu. 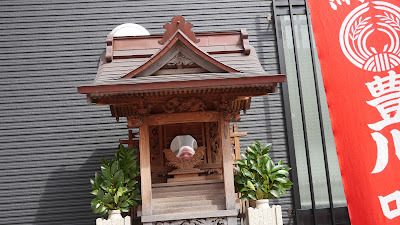 We strategically place ourselves at the “himaku,” or the place in between. Then if he breaks through, what has he accomplished? Now we are behind him! Anyone who has attacked Hatsumi Sensei knows that feeling when he seems to disappear and reappear elsewhere. He is not really doing anything. We do it to ourselves in our efforts to understand what cannot be understood.